The Kurumamichi campus, which mainly offers graduate school education, has Graduate School of Law for training legal specialists. Intelligent urban campus promises to deliver the new university education demanded by our times.Our Graduate School of Law (Law School) are located in an intelligent high-rise building that incorporates advanced information technologies that facilitate learning. We are committed to pursuing a new form of university education that is suited to this new era through initiatives such as our Open College program, which helps make the university accessible to the general public with open courses. The campus offers a self-study space that is available around the clock for working adults to study after the regular school hours. The Confucius Institute is an organization that the Chinese government has established to propagate the Chinese language and culture in collaboration with universities and other educational institutions around the world. 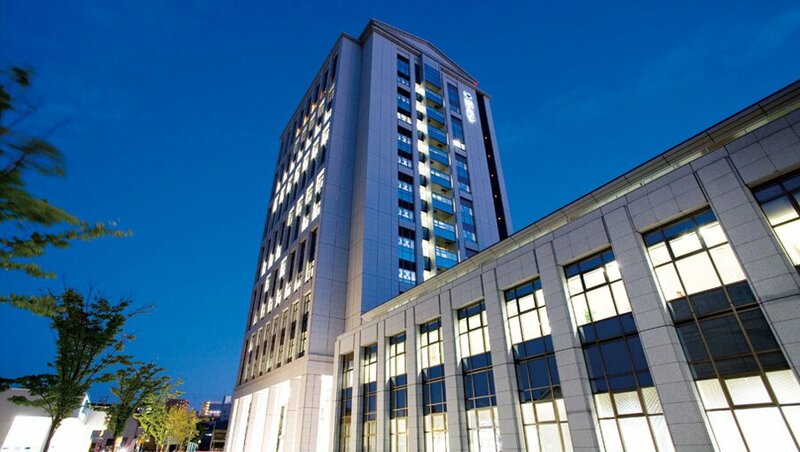 In addition to highly-reputed Chinese courses, it provides excellent education programs that take advantage of the features of Aichi University, attracting more than 1000 students a year. For the purpose of meeting the growing need for lifelong learning in the local community, a diverse range of learning opportunities are offered for people of all ages to study. A total of about 460 courses on a vast variety of interests from foreign languages and PCs to art, culture and fitness are given annually, which are attended by more than 5,300 people. 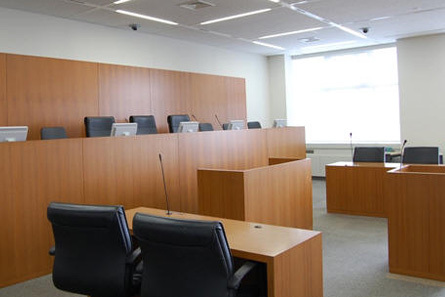 This classroom is intended to provide students with hands-on experiences in a realistic courtroom atmosphere. By playing the roles of judges, lawyers, prosecutors, etc., students can learn courtroom duties on a practical level. 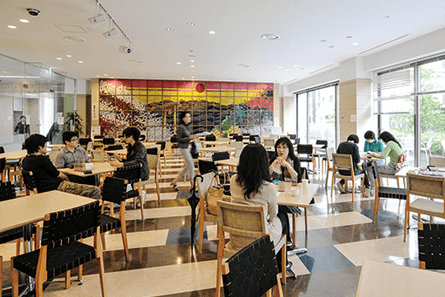 The main building has a cafe lounge on its first floor, where students and staff can take a break. There are also a co-op store. The Alumni Department is in charge of the head office for class reunions, which is located on the 13th floor of the main building. 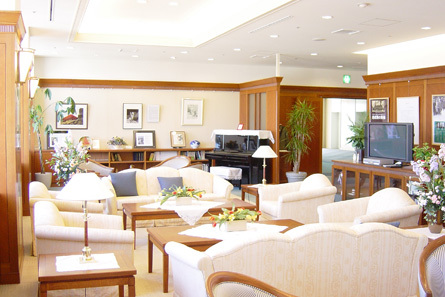 The class reunion lounge, complete with a relaxing space only available to reunion members, offers a fabulous view of almost all of Nagoya City. Graduates of Aichi University are welcome to drop by. With movable seats, the hall can accommodate 356 people. It is equipped with a simultaneous interpretation booth, a front projector, a rear projector, and two screens.